Various event/initiative posters for various clients within the George Washington University. 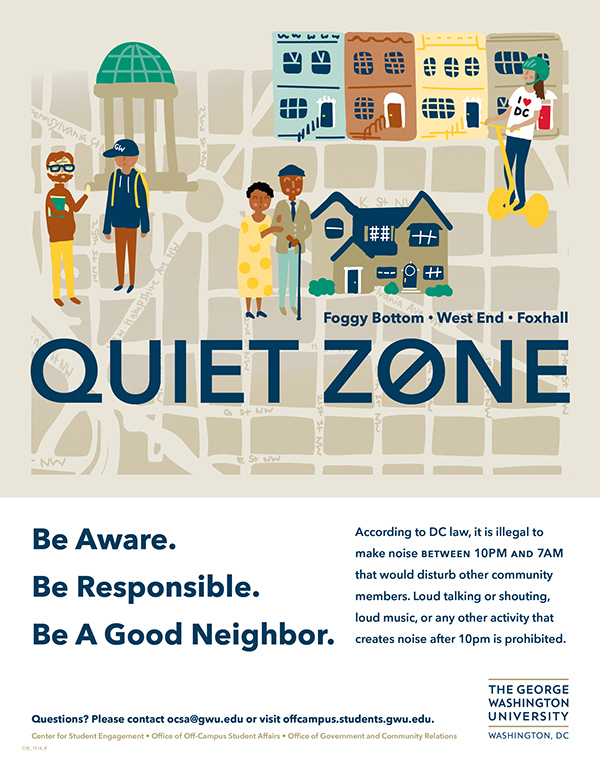 Friendly and accessible poster for Quiet Zone with hand-drawn illustrations soften the stern message. 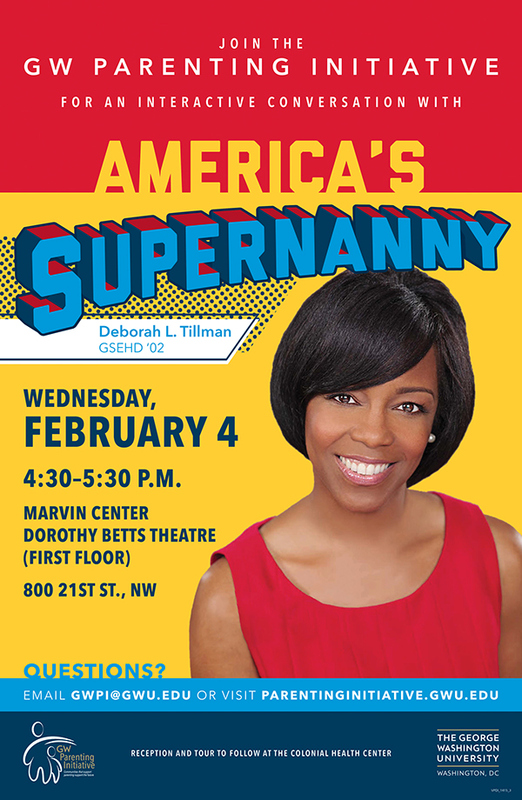 A poster and other materials were created for the conversation event with America’s Supernanny Deborah L. Tillman, GSEHD ’02. 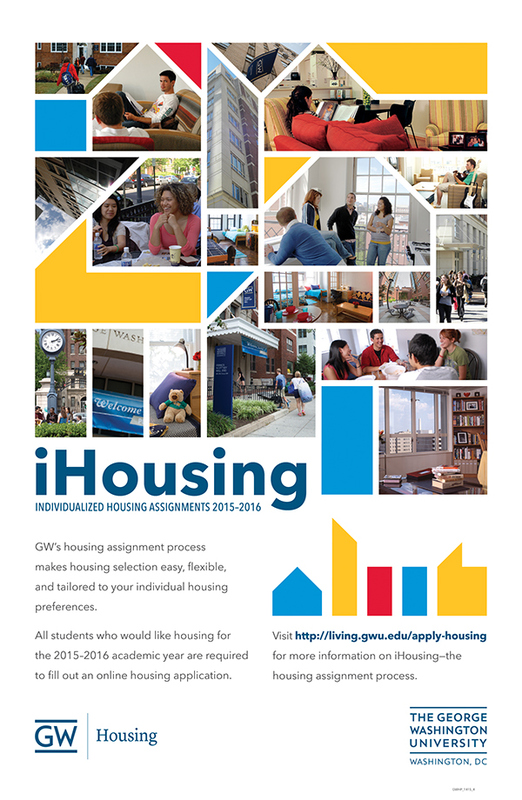 New identity for posters (as well as handouts, supplemental inserts, and web ads), used to provide year-specific information and instruction about iHousing to students. 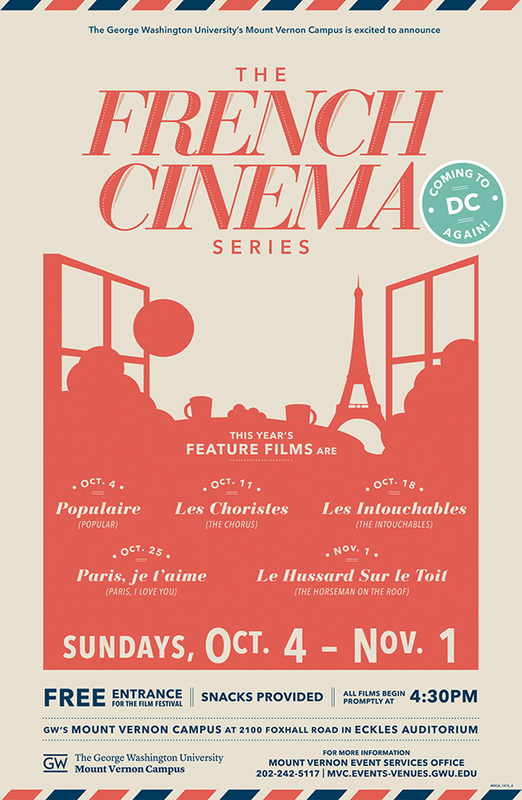 Simple and minimal event advertisement were created to—within the client’s limited budget—announce the return of the French Cinema Series to GW’s Mount Vernon Campus and the featured films, using color, elementary imagery, and typographic details to convey intended French feel.